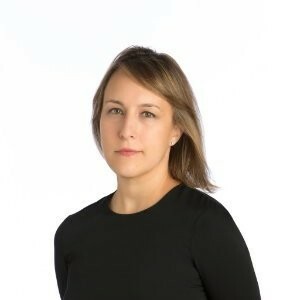 For the inaugural blog on Ajillity, I am sharing one of my favorite conversations with marketing whizkid Anastasia Khoo, as it feels especially relevant in a highly polarized world where customers want contextual, personalized content, while individual liberties are under attack and data breaches abound. 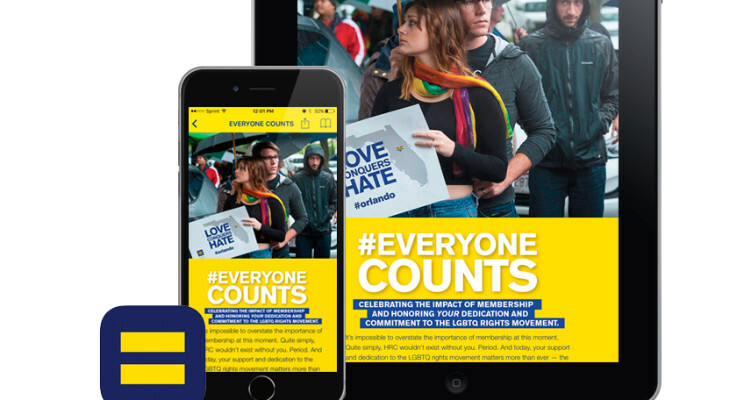 I recently had the exciting opportunity to interview digital media guru Anastasia Khoo, CMO of Human Rights Campaign (HRC), learn how they are using TruEdit with Twixl Publisher to create the Equality Magazine mobile app, and hear her omnichannel marketing plans for the future. How have things changed since you first got involved with HRC? I’ve always worked on progressive issues. When I made the move from Greenpeace to the Human Rights Campaign 11 years ago to help fight for full LGBTQ equality, I knew I was standing on the right side of history. We have seen sweeping change – it’s been a very exciting opportunity for me to help make history with HRC. How has your perspective changed on the use of digital media and technology? My tenure here coincided with the rise of digital and social media. One of the ways we have been the most successful is by putting digital communications at the forefront of our communications strategy. We’ve seen that we are able to connect with people and meet them where they are and, increasingly that is on digital. How you get your news, connect with friends, support your social cause and finding information is all digital. Over the last ten years, so much has changed to make that possible. What we strive to do here at HRC and part of my work is to change hearts and minds, and you can’t do that without connecting with people where they are. We have been incredibly successful using digital channels to help advance our mission. Remember your Facebook campaign in March 2013 when everyone adopted the red-tinted HRC logo as their personal profile to show support for marriage equality? That resulted in exponential shares and likes. In 2015, the Supreme Court ruled that marriage equality is a fundamental right.That is probably our best viral campaign example that captured people’s imaginations. It demonstrates the widespread support for marriage equality and it was one of my proudest moments both professionally and as an American. What are the main goals of Equality Magazine and how does your use of digital publishing and workflow automation impact that? Our editorial is very strong and I wanted to take the next step to bring that online. Although the magazine is a benefit to members, so much time and work goes into creating it, we wanted it to be an an extension of our social media experience and to increase our footprint. With the rise of digital, everything changed from the way we write a report to the way we publish. We started with an iPad app, then we extended into the Apple Newsstand. Now we have an iPhone app, and we are continuing to look for opportunities and ways to use our great content, have additional presence across channels, and get our message out there. Historically, since it has been a print piece, the magazine has been a little slower to transition to an online property. We are excited about the possibilities to continue to push this forward. Your members and readers read the quarterly Equality Magazine cover-to-cover. Do you have plans to change the way the print and digital interact? I am not really a print mail person myself, so I am always surprised to review our surveys and see how much our members love and look forward to receiving Equality Magazine. With our focus on digital first and saving resources, we have a lot of support to offer a paperless, environmentally-friendly approach to publishing the magazine that is more cost-effective and accessible. Our community is highly digitally savvy and embraces change. How did you first hear about MEI and Twixl Publisher? We looked at other organizations that are similar size but different missions. The Humane Society spent some time with us discussing how they approached publishing their magazine, and they were really generous and forthcoming. One of the outcomes of that conversation was and introduction to MEI. I think MEI has done a great job helping us to refine our process, become more efficient, and expand our reach by introducing a phone app, while continuing to be mindful of cost. That is why we moved to TruEdit for content creation and Twixl Publisher for the mobile app. What are the benefits you see in terms of automation and efficiency and how your creatives and editors spend their time on Equality Magazine? I think one of the most exciting things is that because the printing and mailing process can take such a long time between when we put the magazine to bed and when it gets into the hands of our members, readers get a sneak peak and see our work. That we are so much faster and more efficient for the online piece is really important from an ROI perspective because of all the time, energy, staff, and internal resources that go into producing the magazine. I love getting two bites from the same apple and our members get the benefit of their tablet and their phone, providing two more opportunities to connect and interact. How many people that come to your website are mobile? We have over 1.5 million members and Equality Magazine is the largest LGBTQ publication in the country. More than half our website visits are mobile these days and that number is increasing. This was a big factor when we redid our website and developed a responsive design. Is the content in the magazine exclusive? There are times when we cross-publish like a celebrity interview but mostly the content is expressly created and written for the magazine. Do you see there being a role at HRC for interactive mobile apps beyond digital publishing? That is definitely possible. Mobile has forced us to think about things differently. We have taken a mobile first approach to how we design and communicate. It is really reframing communications for us. I think video and mobile are the focus to help us push our mission forward. We do have other apps including a Buyer’s Guide to LGBTQ equality. As a not for profit, it always comes down to budget and the best way to package content that is accessible to people. What do you think about the digital first idea many brands are embracing of having a central content hub where you create content one time for output to any channel? We are very nimble and have managed the acceleration of communications brought on by digital. The nature of our work is that we operate in real time due to the need and urgency to be part of real time conversations. Our work impacts live of our community so we often don’t have the luxury of an extensive review process. We are always thinking about how do we make it better, tweak it and test. I think we are best in class when it comes to content and brand marketing. We do things in a way that is both efficient and effective. Do other organizations come to you to get advice on how to reach more people? Yes. HRC is very open and transparent about how we do things and we like to share our success with other organizations to help them with their own communications and marketing endeavors. I am very proud of the way we are great partners with the progressive community. If someone comes to me and says ‘how do I make it go viral?’, I know they have already failed. They’re missing that it’s more than just going viral, it’s about creating an emotional connection with members and supporters. Marketers need to be thinking about how to build its brand and audience, day-in and day-out. HRC’s success with the magazine, social media, mobile, and apps is endemic to how we approach communications which is a constant process of refining. How do you hope this app changes your relationship with your readers? We want to expand our audience with this additional point of contact by making it freely available. For the LGBTQ kid may not have a supportive community, we want to show them via digital that there is a big world out there, that they can be loved and accepted exactly the way they are. Digital allows us to reach the people most in need, right where they are.